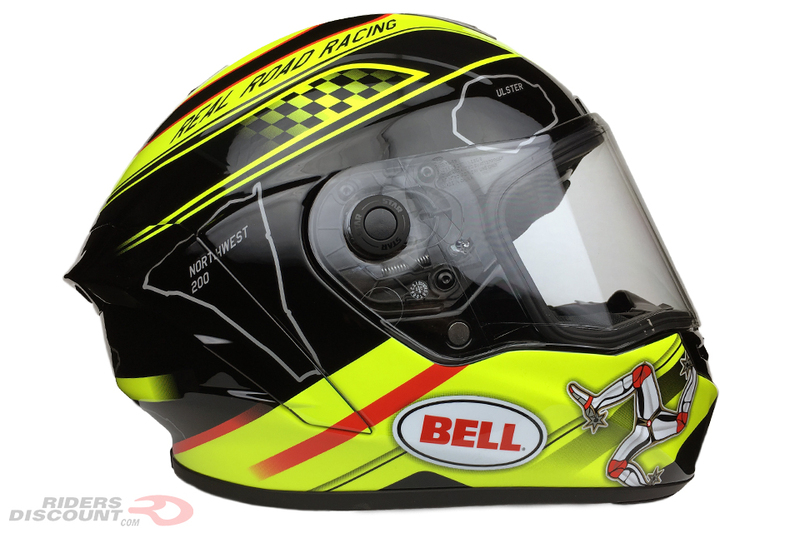 The Bell Star Isle Of Man Helmet features a black and yellow color scheme with a checkered flag pattern and “Real Road Racing” on both sides. 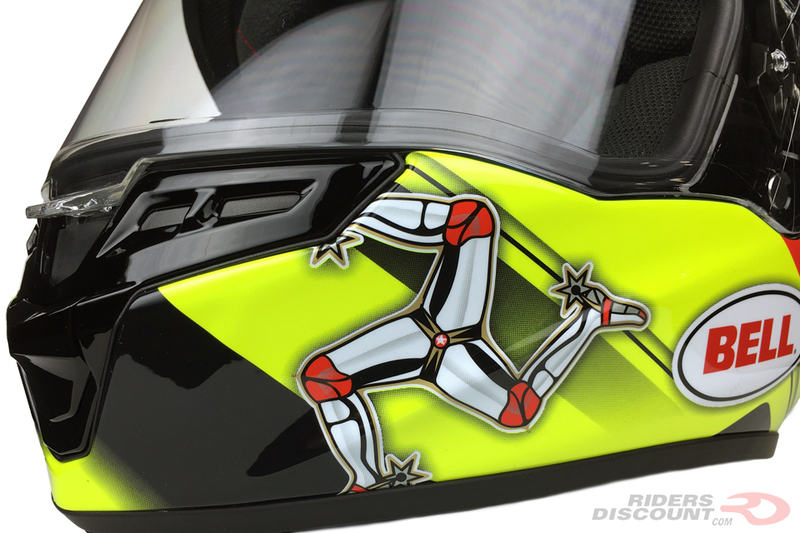 The lower sides and top of the helmet have the signature Isle of Man TT triskelion, which is also found on the Isle of Man’s flag. 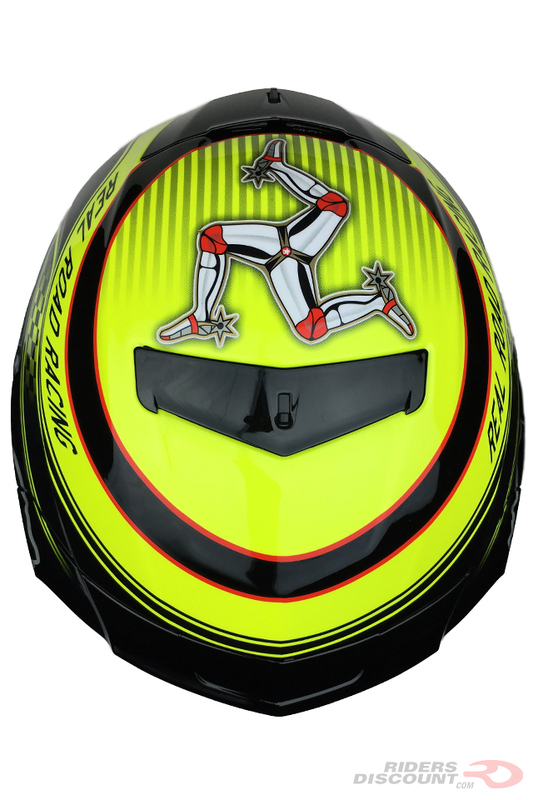 On the sides and back of the helmet are outlines of four different road racing courses. 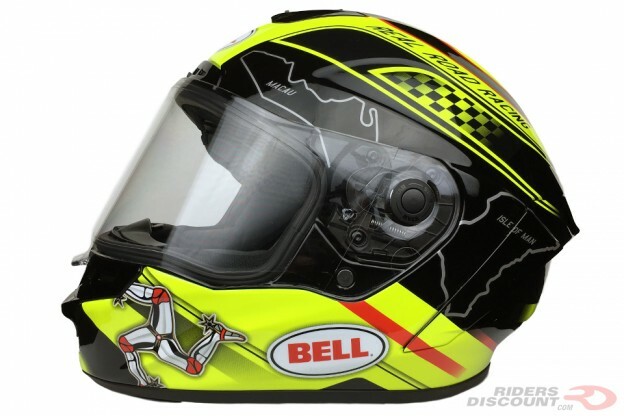 Constructed from a mixture of Aramid, carbon fiber, and fiberglass, the Bell Star is a lightweight and durable helmet. Six intake and eight exhaust vents work together to allow for the same great airflow as the previous version, with less outside noise. Together, the multi-position chin vent and removable vent plug allow you to adjust the airflow to aim towards either the shield or your face. 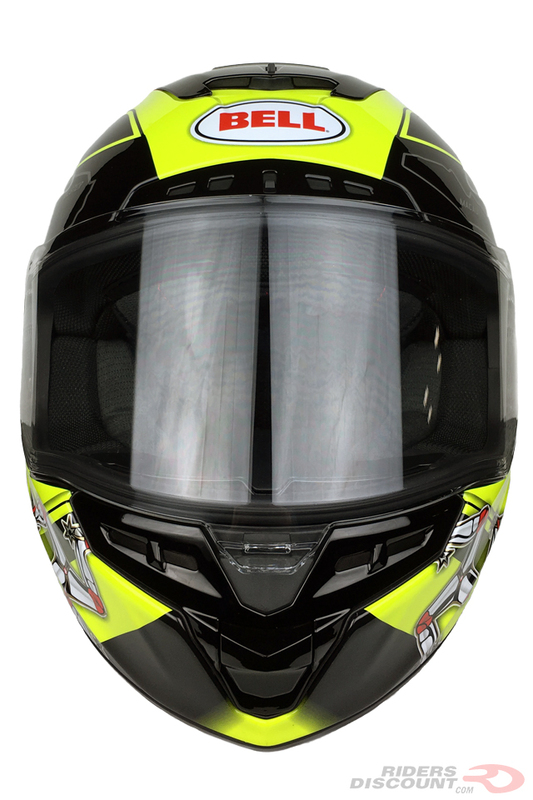 This helmet comes with a “Panovision” face shield. Bell’s Panovision incorporates larger view ports that allow you to see more while doing head-checks, lane changes, or searching for obstacles. The center lock mechanism makes opening and closing the shield easy while riding. 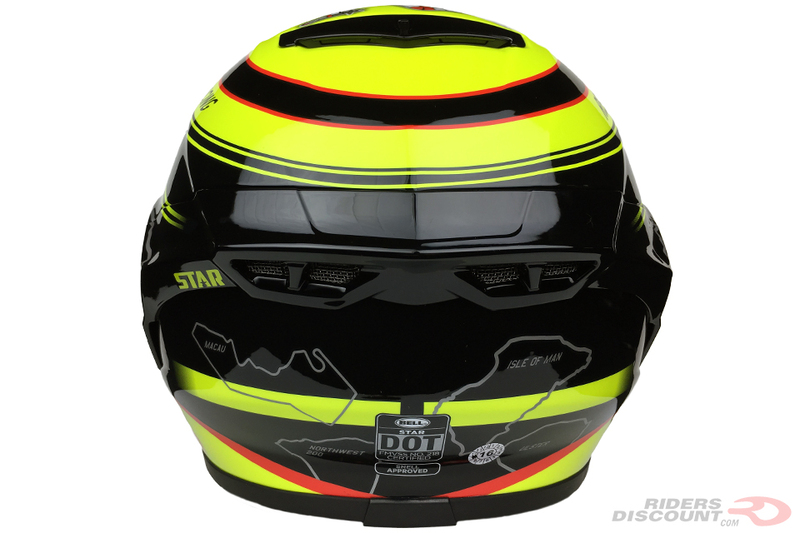 The Star’s cheek pads and comfort liner incorporate Bell’s “X-Static XT2″ material, which is moisture wicking and antimicrobial. The Bell Star is Snell M2015, DOT, and ECE 22.05 approved.